Every spring, the beautiful cherry blossom along the tidal basin bloom and cover the area in impressive white and pink fluffy flowers. 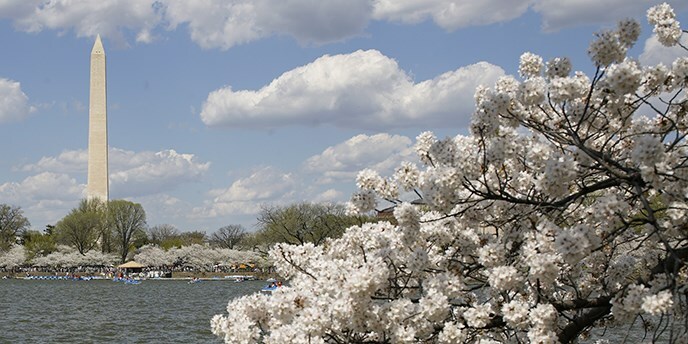 Thousands of visitors and residents in the district flock to the tidal basin and other patches of trees to take in the views and celebrate with the annual Cherry blossom festival. In this blog post, we will cover the history of the cherry trees, the current state of the cherry trees, and events you can attend to celebrate. Most people are aware that the cherry trees along the tidal basin were donated by the Japan. Specifically, Mayor Yukio Ozaki of Tokyo City donated the Japanese Cherry trees to the city of Washington, D.C. to enhance the growing friendship between the United States and Japan. But most people aren’t aware that the story of the historic cherry trees started 30 years before they were planted in 1912. A woman named Eliza Scidmore was the one to first suggest bringing Japanese Cherry trees to the US. After her visit to Japan, she proposed that cherry trees be planted along the Potomac waterfront, but her request was met with very little interest. It wasn’t until Dr. David Fairchild got involved in 1906 that anyone took notice. Dr. Fairchild purchased 75 trees to test their hardiness in Chevy Chase, Maryland. Pleased with their success he began to promote the tree as an ideal for planting along avenues and even gave children cherry trees to plant in their school yards for Arbor Day 1908. 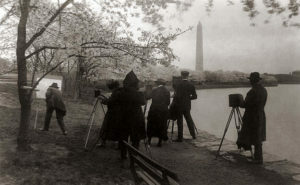 By 1909, Mrs. Schidmore was attempting to raise the money herself to purchase and donate the cherry trees to the city. But on April 7th, 1909 her initiative caught the attention of First Lady Helen Taft and the planning to purchase and plant the cherry trees began. By chance the Japanese government heard of the first lady’s wishes and offered to gift the trees to Washington, D.C given in the name of Tokyo. The first lady accepted the Japanese gift and in 1910 a shipment of Japanese Cherry trees were sent to the US. Unfortunately, the first shipment of Japanese cherry trees, in 1910, was infested with insects and was diseased. It wasn’t until another shipment in 1912 saw the trees planted. 25 years later, in 1927, the first official cherry blossoms festival was held. Cherry trees are susceptible to numerous diseases such as white peach scale, leaf spot, and powdery mildew. Stress, from the floods of visitors every year, makes them even more susceptible to these diseases and fungus. This is why it isn’t surprising that only 100 of the 3,000 original cherry blossoms are still living. Also the average cherry blossom tree only has a lifespan of 50 years. The original trees still standing are 106 years old and have defied the odds. These impressive originals are located near the Martin Luther King, Jr. memorial. If you’re visiting this year make sure to check out this location to see the originals because in a few decades there may be no originals left! The rest of the 3,700 ornamental cherry trees along the National mall and Tidal Basin come from local nurseries and cloning initiatives. That’s right approximately 500 of the cherry blossom trees you’ll see during the cherry blossom festival are actually clones of the original gifted trees. This year’s peak date is April 1st. It was originally April 5th; however, the recent warm weather has speed up the blooming cycle and moved the peak bloom date up a few days. 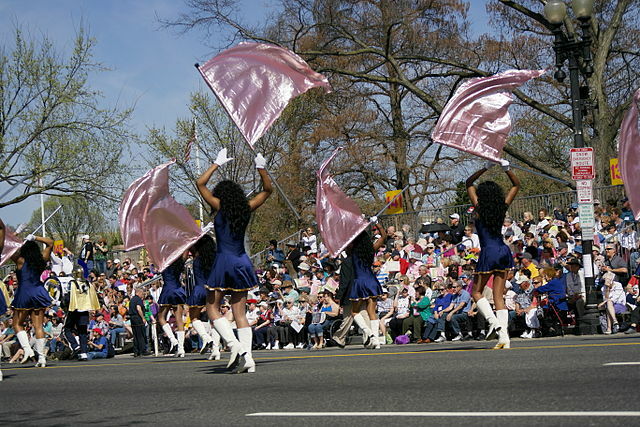 There are numerous events this weekend and the following weekend that you can attend to celebrate the Cherry Blossom Festival and the start of spring. Check out the events below to plan your celebration. 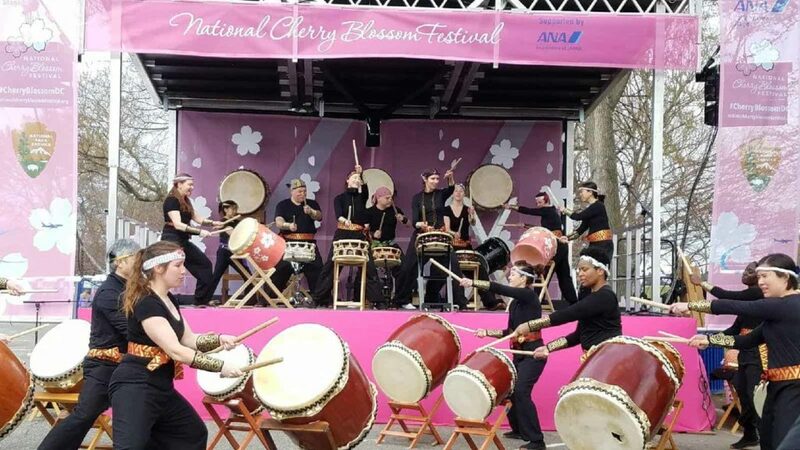 Among the cherry blossoms at the ANA Tidal Basin Stage, the Sakura Taiko Takeover will feature Japanese drumming performances from more than eight Japanese drumming groups sharing their passion for music, culture, and community. Short, non-competitive walk and educational program to raise awareness of the Japanese American experience during World War II and the importance of connecting the past to the present. 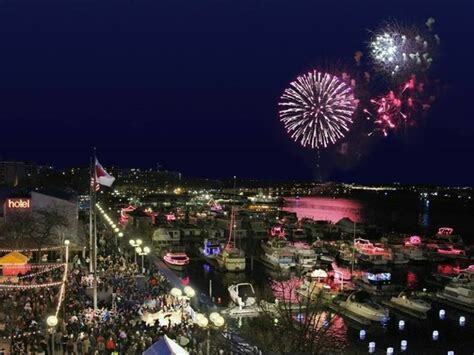 Petalpalooza will feature live music on multiple outdoor stages, a beer garden, all-ages activities, product giveaways, a spectacular fireworks show by Pyrotecnico, and much more along the piers of the Southwest Waterfront, all made possible by Entertainment Cruises. 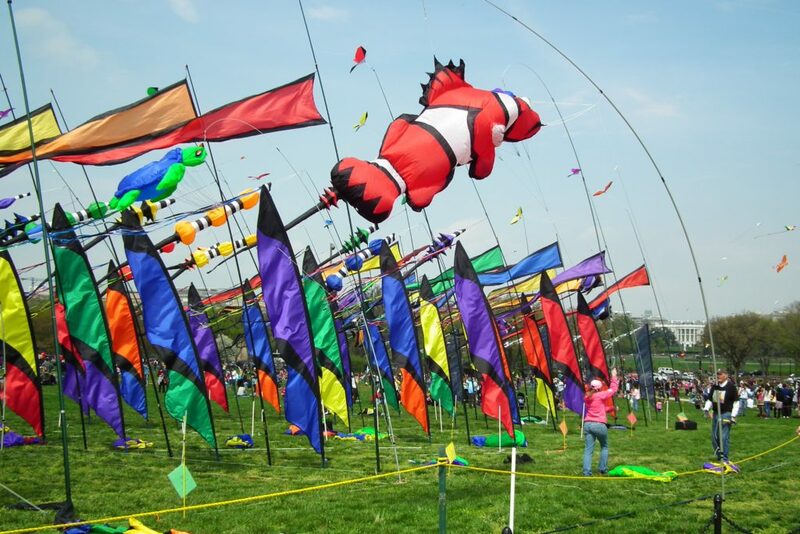 Take in the half-mile-long stretch of The Wharf’s shops and restaurants as the National Cherry Blossom Festival transforms the waterfront community into a one-day-only springtime spectacle! If you have cherry trees on your property and need help caring for them, give us a call at 703-573-3029 or book an appointment online!